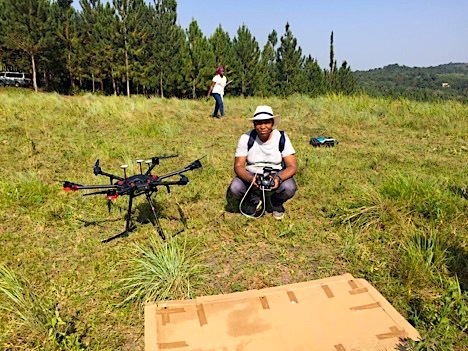 We often think that drones were designed for the military, but that could not be further from the truth as Uganda Flying Labs has recently demonstrated during a mission following the landslides in the Bududa district. So when the team issued a publicity note on social media to herald the second phase of their robotic training, they were expecting mainly responses from the GIS and surveyor’s world. That limited thought was put to nil as they saw sign-ups of foresters, policemen, businessmen, directors of audit firms, farmers, electric engineers, along with the usual GIS experts. 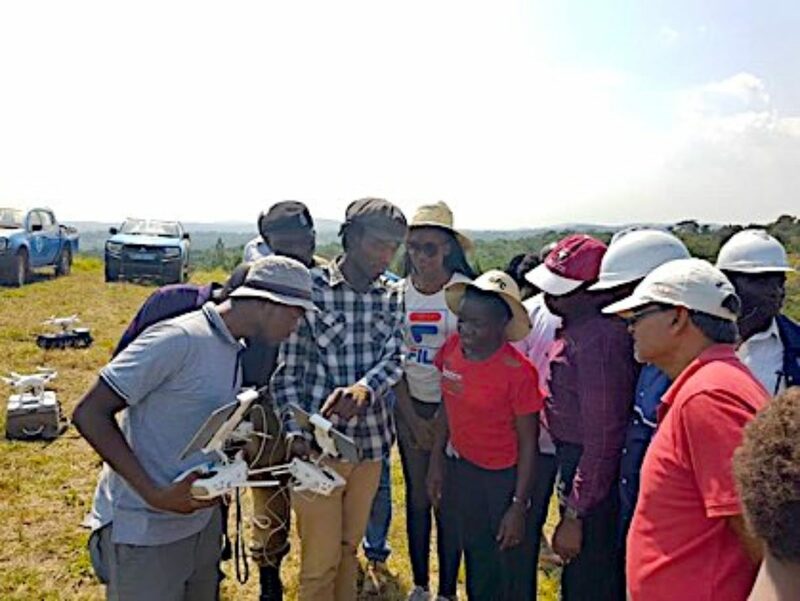 It was an eye-opener to the wide range of positive application of drone technology and a wake up call for the diverse users’ needs trainings need to address. Come February 10, 2019, the second introductory drone training was conducted in Kampala to fulfil both the building of local robotics capacity and accelerating social good initiatives through sector-based program tracks. The training offered on-site hands on drone flight sessions and a theoretical course on the pre- and post-drone flight activity requirements. The theory session lasted longer than expected with many curious minds asking if they were now eligible for certification with the CAA, proving the eagerness of the participants to become fully competent but also showing the complexity of a process still at its infancy. Explaining the code of conducts in the Ugandan context is in fact the first step trainers are to follow. Lunch was on the wheels as the team drove to the flight site 25 km away from Kampala. The flight plan had already been covered prior to the take off so that only a few ground rules had to be reiterated once at the flying site but it was undoubtedly difficult to contain the participants’ excitement for the hands-on session: once the motion was set, most hands were actually on the remotes, trying to fly steadily while steering away from the cliff at the same time – no easy task, for participants to perform and for trainers to watch. While, unsurprisingly, the majority of the trainees rotated around the renown DJI Phantom and Inspire, some grew so fond of the DJI Matrice 600 Pro it didn’t take them long to decide what their next investment would be. Reluctantly, after 2 hours of trials and errors, participants had to put their drones to rest, spending the remaining afternoon in ideas exchange on most suitable drone uses for their cases. One of the M600 enthusiasts, a participant from EY, was excited for he had found, at last, a solution for those clients conducting audits in stock inventories in telecommunication and anti-smuggling activities at the border. 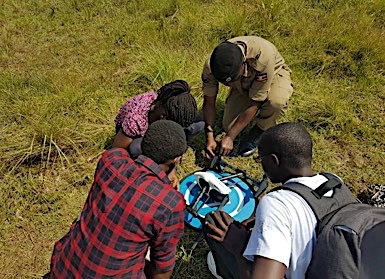 Similarly, engineers from the Uganda Electricity Transmission Company Limited (UECTL), sensed that their M600 drone was going to be fully utilised to address challenges in managing electricity transmission lines. A policeman had a sense of victory over the puzzle of crime surveillance, while a farmer, on the other hand, felt that his struggle to monitor crop harvesting was soon to be unravelled. At the end of the training, a forum was created to keep the group active in sharing knowledge around robotics. With a superb evaluation feedback on its way, they are now awaiting the intermediate course. 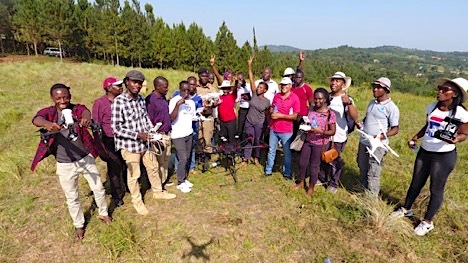 By and by, parting with the group was sad for the Uganda Flying Labs team and trainers, but the human experience beyond the technical learning of drone flying, left a smile on everyone’s face as the view of the farm from the mountains made them forget about Kampala’s fuel fumes for just one day.